Lori started sailing as a youngster in Chesapeake Bay and has stayed near the water ever since. After sailing the Caribbean islands on her Passport 40, she cruised on larger boats in the Mediterranean. Lori has been a broker in Ft. Lauderdale for over 25 years and brings with her a wealth of experience. 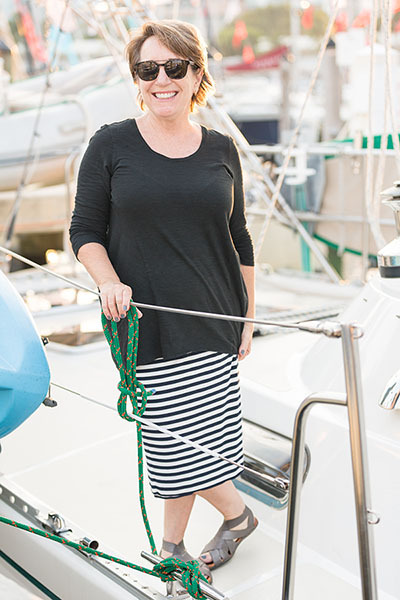 Her knowledge and expertise about bluewater cruising sailboats is well known and as her loyal clients have begun to move into trawlers and motoryachts, Lori has also acquired a solid background in these yachts. She prides herself on helping her sellers showcase their yachts. Additionally, the buyers with whom she works praise her ability to pinpoint the best boats for their needs at a price within their budgets.